1. Good radiation efficiency. Most FR4-based patches have terrible efficiency because FR4 is very lossy at 5.8 GHz. 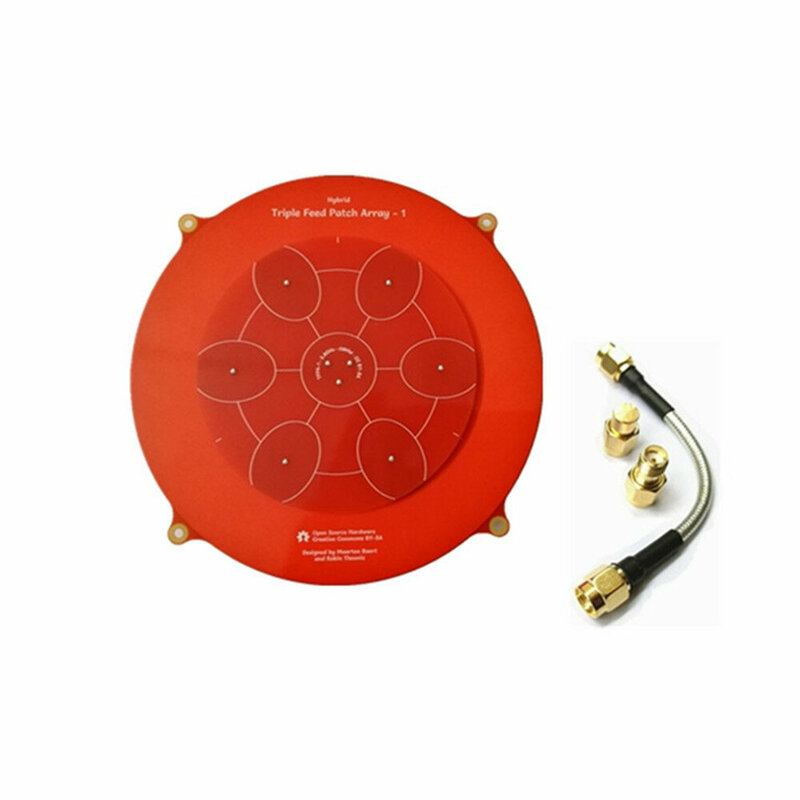 Additionally, most array antennas have higher losses in the feed network. This design uses coupled patches to keep the feed network simple and reduce these losses. 3. High gain, though not as high as the theoretical gain of an array with 7 elements. This is because maximizing the gain would result in high sidelobes and a poor axial ratio. 4. Very low sidelobes, almost all energy is concentrated in the main lobe. This increases the width of the main lobe, at the expense of some gain.